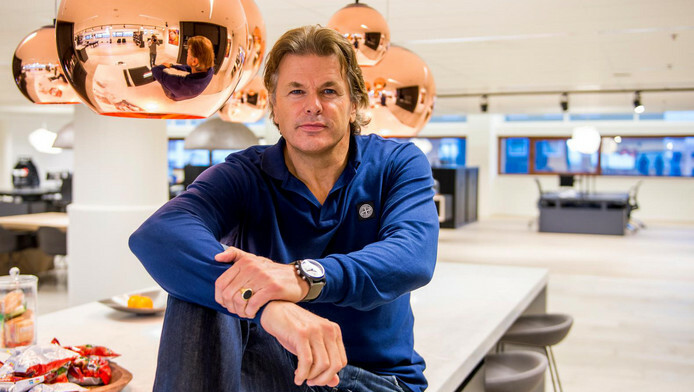 Evert Jaap Lugt, former CEO and founder of Nimbuzz, has been managing director of the YES!Delft incubator since June 2017. According to Lugt, The Netherlands must become a “startup nation” so as to not be left behind by the rest of the world. In 2006, in the midst of the mobile revolution, Evert Jaap Lugt founded Nimbuzz, a messaging and calling app. By 2014, the app reached approximately 150 million users and was sold to British New Call for €137 million. After Nimbuzz, his managing role at Swisscom innovation marked a step closer to his current work at YES!Delft: bringing innovations to the market. “This is something I really enjoyed. But I was doing it only for one company, whereas now I do it for several companies – or actually for the Netherlands as a whole. According to Lugt, if entrepreneurship is a profession, then it is only logical to have an entrepreneur take the lead at an incubator. “I feel a bit like a former footballer who is now becoming a coach. In sports too this is considered to be a plus”. Note: this article has been translated and summarized based on a Dutch source. And receive monthly updates about Rotterdam’s tech scene.